The monthly dances are still well attended; many thanks to June and her team for their unstinting work on this front. The Village Show at Clipt Bushes was, once again, a fine event, it’s good to see old villagers rubbing shoulders with newcomers on such a social day in such a beautiful setting. Many people made this happen and. I thank each and every one for their involvement and I especially thank Barbara and Caroline Ruffell for allowing us to use their lovely barn and grounds. In September we held a major 60’s dance at the village hall , a bit of something completely different for village entertainment , well presented and well supported. 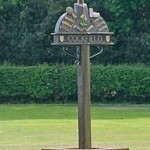 This was followed in November by a Quiz night attended by many with massive intelligence and IQ but some people (myself included he said quietly) didn’t know quite as much about Cockfield as they thought they did! Earl’s meadow and Bruff’s Line opened a few eyes wide in September when it hosted a major Tree Warden’s forum ; about 70 people visited and were visibly impressed by the work that has been done there and the enhanced beauty. Hats off to all the people involved who make this area such a place of relaxation and peace. The cinema nights are working very well and people are obviously enjoying the films that Julie selects for the village. We are striving to improve the quality of the shows and are currently working on getting a surround sound system. It’s interesting to note that some villages with populations far in excess of our own have far lower audience numbers. Keep up the good work! I wish to finish my report with a message of tribute to Sandra Stannard who left the village late last year. Your very nature provides a foundation upon which communities are founded, all organisations feel great pride and respect to know and to have worked with you.